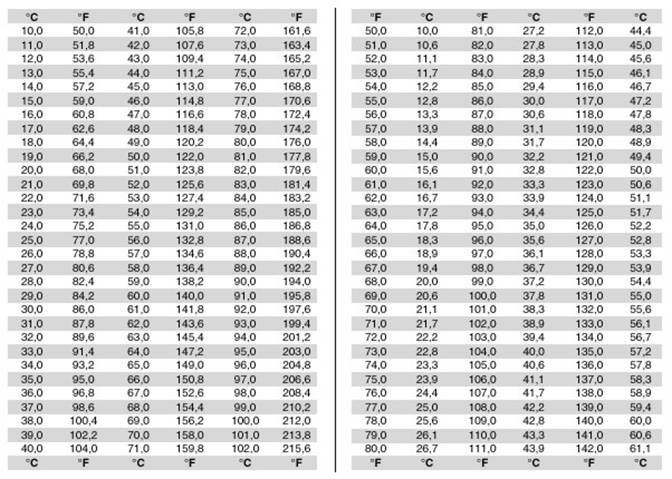 To start with, have a look at the table below to learn the common temperature conversions. Convert 87 degrees Celsius to Fahrenheit. The boiling point of water is 100 degrees C. What is this value in Kelvin? The temperature in Abu Dhabi is 68 degrees Fahrenheit, and 17 degrees Celsius below zero in Montreal. What is the difference in temperature between the two cities?